ANNAPOLIS, MD – Lt. 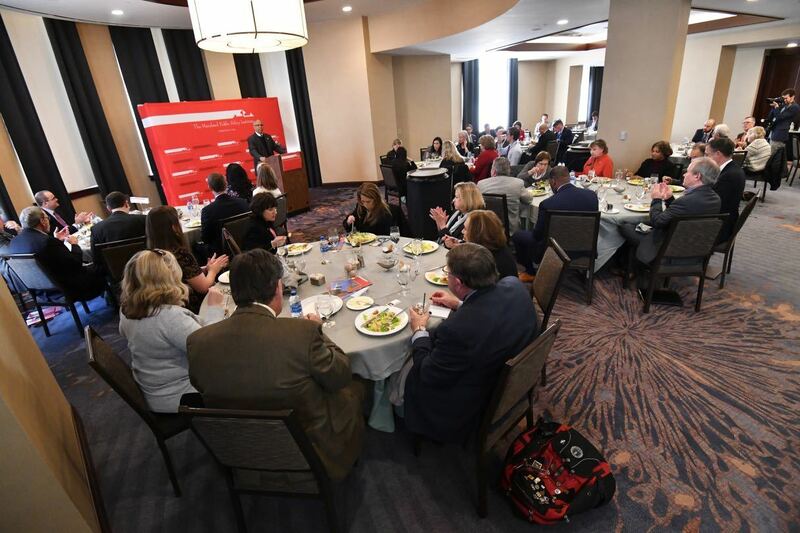 Governor Boyd K. Rutherford today spoke at the Maryland Public Policy Institute Legislative Session Policy Orientation at the Westin Hotel in Annapolis. The lieutenant governor was joined by President of Maryland Public Policy Institute Christopher Summers, Special Secretary Wendi W. Peters of the Maryland Department of Planning, legislators, and policy advocates. Lt. Governor Rutherford highlighted a number of the Hogan administration’s priorities for the 2019 Legislative Session, including economic development and Governor Hogan’s More Opportunities for Marylanders Act; education initiatives, including the administration’s P-TECH Opportunity Act of 2019, to expand the nationally recognized P-TECH education model across Maryland, and the Building Opportunity Act, to invest an additional $3.5 billion in school construction funds; and redistricting reform, including the Redistricting Reform Act of 2019 – legislation that the Hogan administration has introduced four years in a row, which has yet to be brought up for a vote by the legislature, despite overwhelming public support for redistricting reform. 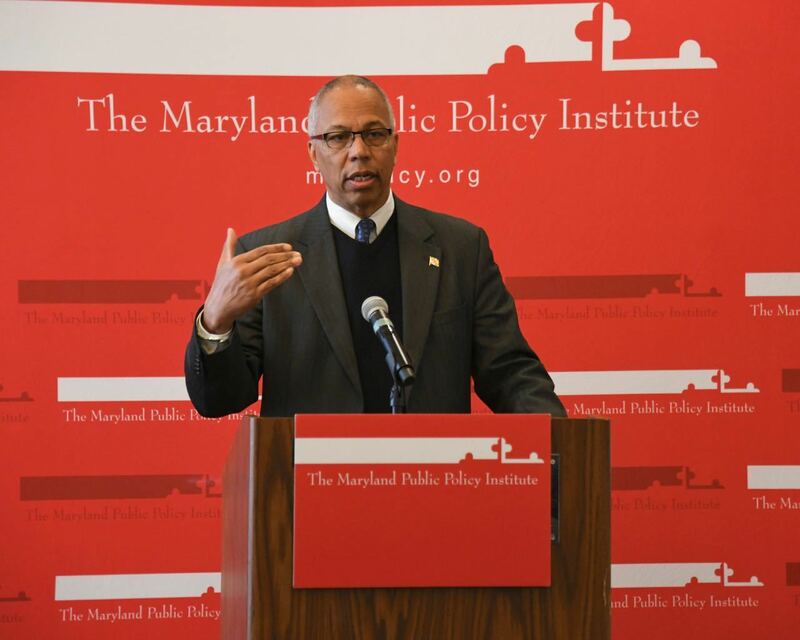 “For over 15 years, the Maryland Public Policy Institute has been at the forefront of proposing thoughtful, common-sense solutions to the economic problems facing our state,” Lt. Governor Rutherford said. “And actually, it was the consequences of the failed economic policies enacted by the previous administration that prompted myself and my friend, Larry Hogan, to run for office in 2014. “We ran on a platform of fiscal responsibility and reducing job killing regulations, so that we could grow the private sector, put people back to work, and turn our economy around. That’s exactly what we did, and it seems like the people of Maryland thought we were doing a pretty good job, because they re-elected us to continue doing it for another four years.